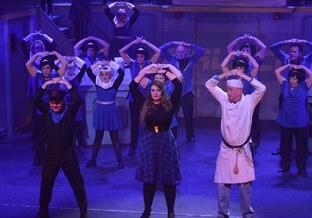 This year we had a very successful run with ‘Sister Act’. 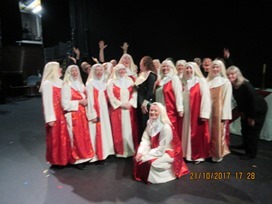 We had new costumes made for the nuns ( plain and fancy for the finale), priest, pope and choir boys. We even have a blue fur jacket. 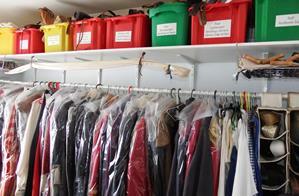 Due to lack of space in our over stuffed wardrobe we are looking to sell the costumes. 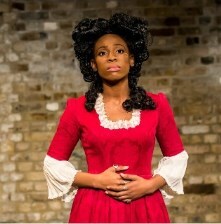 If you or your drama society are looking for costumes to perform this show , please get in touch. 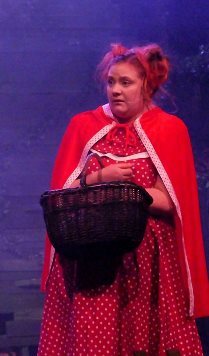 I am the wardrobe mistress for Rhiwbina Amateur Dramatic society (RATS) in Cardiff Wales. We are looking for somewhere in the region if £600 but open to negotiation. £200 as a job lot! 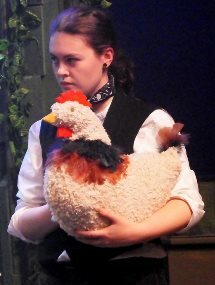 Anyone out there got a high quality goose costume for hire or sale for a production of mother goose in January? Supplies for hen, stag and birthday parties as well as student nights and fancy dress events! 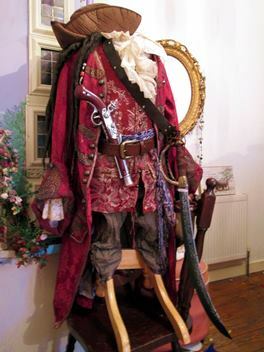 We have a range of fancy dress costumes, accessories and home decor! Will also send additional photos on request. 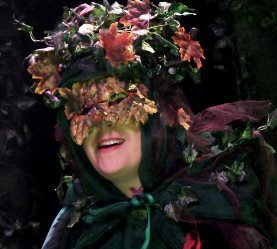 We are head of costumes for Guilsfield Amateur dramatics group. We appreciate we have left it late but we are hoping someone will be able to help us. We are performing Blackadder Goes Forth on the 22nd, 23rd, 24th, 29th, and 30th of November and the 1st of December. We are still looking for costumes for the General , Darling, and George and all six hats ( two privates, two captains , one general, one officer ). I will send measurements of size if you think there is a possibility of some to hire or possibly buy depending on price. Heddington Amateur Dramatic Society (Wiltshire) are looking for a 2 person donkey costume for our panto 22 - 25 November. 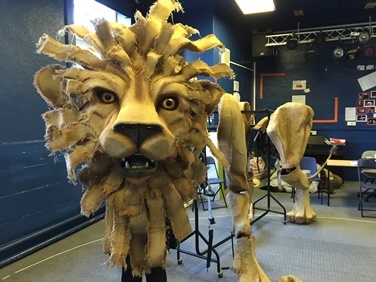 A fabulous set of masks and puppets made by The Puppet Workshop in South West Australia - We had the commissioned and shipped over. They cost just over £7000 including shipping. We would like to sell on to recoup some cost. Howdy! Can you help? 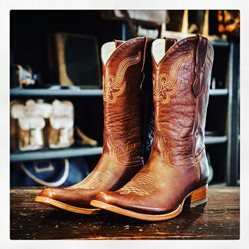 We are looking to borrow Cowboy Boots for our production of Oklahoma! 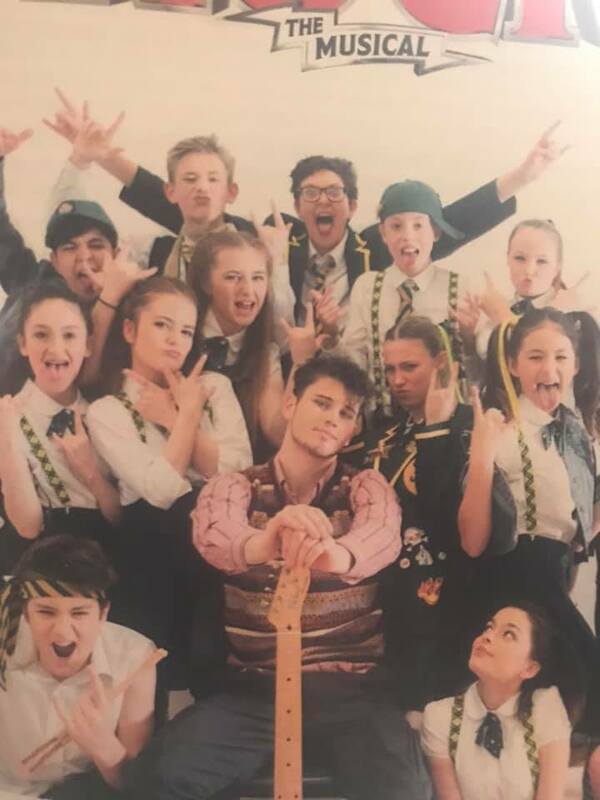 I’m looking for set/prop/costume bits and pieces for a production of Grease that we’ll be doing in December 2018. Particularly the car and if anyone has any costumes too that would be great! Very reasonable rates. 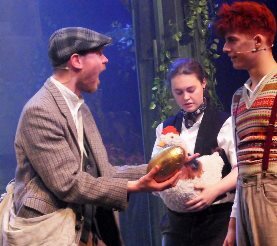 Reduced rates for amateur groups and student productions. 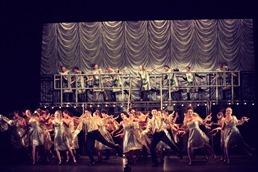 Looking for single or multiple costumes and or set pieces to loan for a production set in the 1930s any help welcomed. 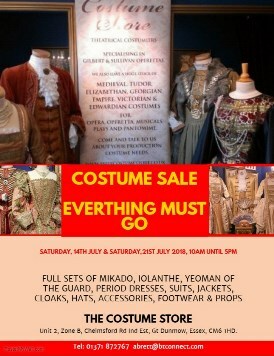 The costume Store is closing down and everything must go, full sets of “Yeoman of the Guard”, “Iolanthe” and “The Mikado” still available, along with period dresses, suits, jackets, period uniform, capes, shirts, blouses, trousers, breeches, hats, footwear, accessories and props, covering all periods from Medieval through to Edwardian. Payment is Cash only on the day. Has anybody got anything to hire or something simple made? 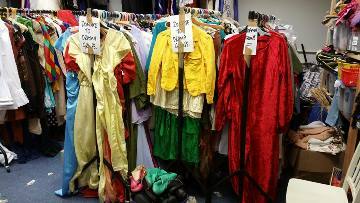 Lion & Unicorn Players in Petersfield Hampshire are having a mega costume sale. 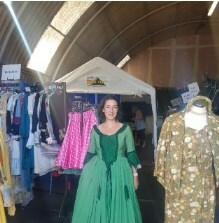 A chance to buy some fabulous costumes, browse, have a cup of coffee and a piece of cake! All welcome - drama groups, members of the public. Please see photographs and detailed itemised list below. Also some props. Only used for four shows - £200. Will deliver within an 80 mile radius otherwise buyer collects. 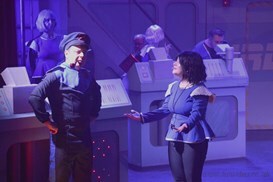 We have ensemble and dancers costumes from a recent production of Return to the Forbidden Planet. 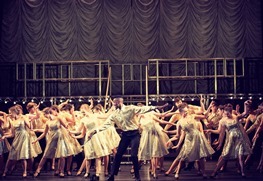 Sizes range from 12 to 26 for ensemble and 6 to 16 for dancers. 16 x dancers skater dresses in blue with silver trim, detachable cuffs, collars and belts, with silver bob wigs. £10 each costume. 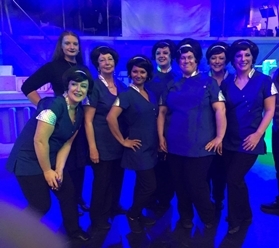 11 Ladies blue and silver tunics, with black beehive wigs and detachable silver hairbands. £10 each costume. 2 blue peplum tops with silver trim, and blue bob wigs. £10 per costume. We will sell as a whole or split. 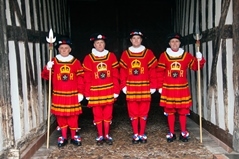 Checking exact number, but 16-18 full Yeoman of the Guard costumes for sale - tunic, breeches, collars, rosettes, socks and hats. 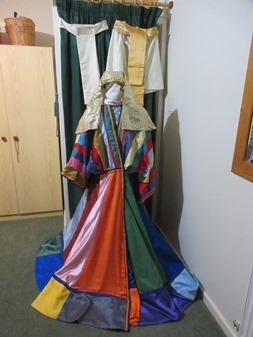 I have 2 suitcases of pantomime/stageshow costumes all clean & well made 9 of which are adult size Tail coats of Birds chiffon wings, worn with breeches or tights absolutely hilarious on men lots of options ie long red hair wig (supplied) with Robin costume Miss Robin Tart, also have Magpie, Swallow, Parrot, Wheatear, Starling,Raven, Wren, etc 6 nice Man size Dame gowns all in one white jump suit hippy dress clown trousers harem scarem Genie, Black gowns, Assorted jackets wigs & Accessories. 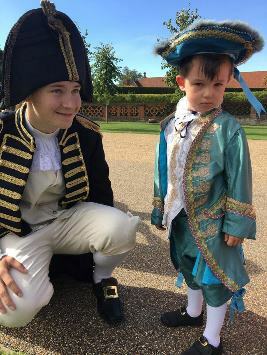 Lots of alternatives around 25 costumes altogether can deliver if required Most have never been used were made for a Cancelled stage show in Northampton 5yrs ago. Have bundle of fabrics that will throw in with the prices. 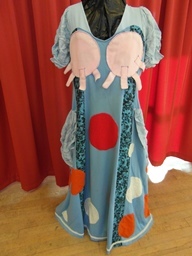 JUST GOOD FRIENDS Theatre Company, Carmarthen has some SPAMALOT costumes and props available. PVADS (Pewsey Vale Am Drams) are desperately looking to borrow/hire a set of WW2 army costumes for their production of Dad's Army. We need another 6 or 7 outfits - can anyone out there help please? 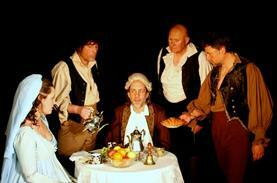 Ever thought about running your own Drama Group? I am selling everything you need you to start a new business. 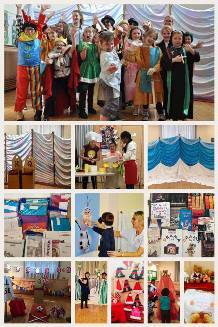 I am including 100's props & costumes, scenery, books, scripts Facebook Page and 5 years of lesson plans, themes including - Frozen, Jungle, Pirates & Princess, Under the sea and many more! - I can recommend a venue and help you get things off the ground if needed. 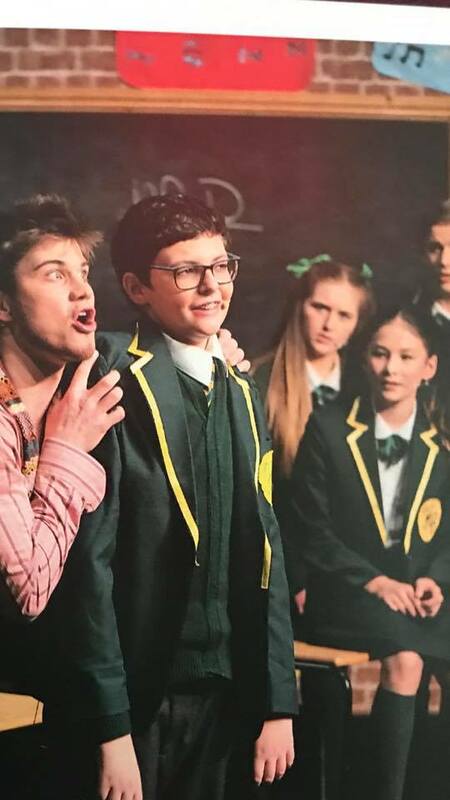 I ran Dramatazz in Arnold for 5 years ages 4-14, please see the Facebook page for loads of photos. Unfortunately due to personal circumstances I can no longer run this group. I will consider all reasonable offers. Tel Donna 07986569132 to register your interest. May be of interest to some members. Sale is part of the “ Kermis” (don’t ask) Autumn Fair/ Sale / Fundraiser from 10.30 to 3.30 on Bank Holiday Monday August 28th., in the church. 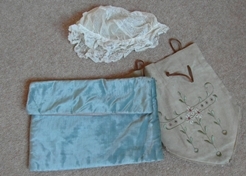 Some useful items including a bit of Vintage and several pieces purchased from RSC. 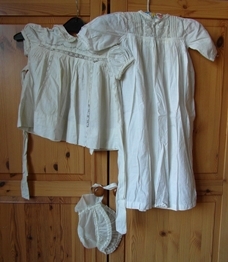 and some boned bodices and puffy knickers ! PS Lots of other stalls of course, and nice cake. No booking required, just turn up and queue! Items on sale include pieces from The Two Noble Kinsmen (2016), Cymbeline (2016), Othello (2015), Julius Caesar (2009) and other shows from the past 20 years. It includes 12 uniform coats from our 2008 Hamlet, in which David Tennant took the title role. 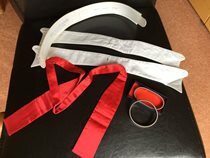 I am throwing out red bow tie, stiff collars & expandable sleeve things. Anyone interested? 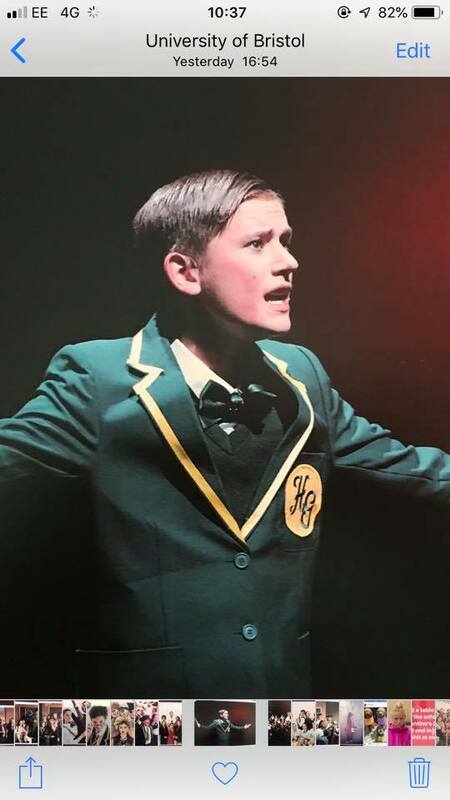 I am starting to produce my own stage productions and I would be very grateful if anyone had any 1960's costumes/fancy dress outfits that I could have/buy for a reasonable price. Trying to produce on a shoestring is hard so any help would be greatly appreciated. 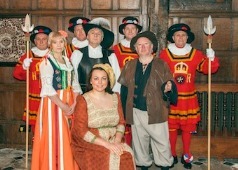 I would also be interested in panto costumes or Tudor/Elizabethan period costumes. Please email Ian.curran@live.co.uk or call 07732 039 003 with any suggestions. Thank you. 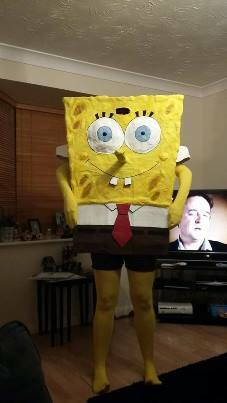 I have a fancy dress business which I am in the process of selling. 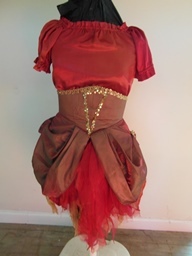 I have sold some outfits already to local theatre groups but still have over 150+ costumes left for sale. 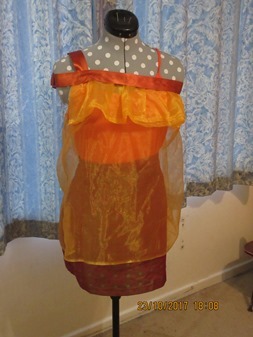 Prices are mainly £10 per costume so are very cheap. 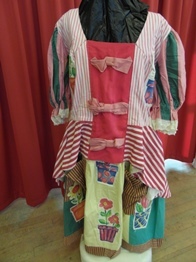 All the outfits are hand made adult costumes as they were made by the previous owner for the gang show and local theatre groups. 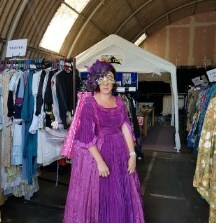 They cover many genres such as uniforms, characters, eras, Egyptian, and quite a few costumes suitable for the panto season. 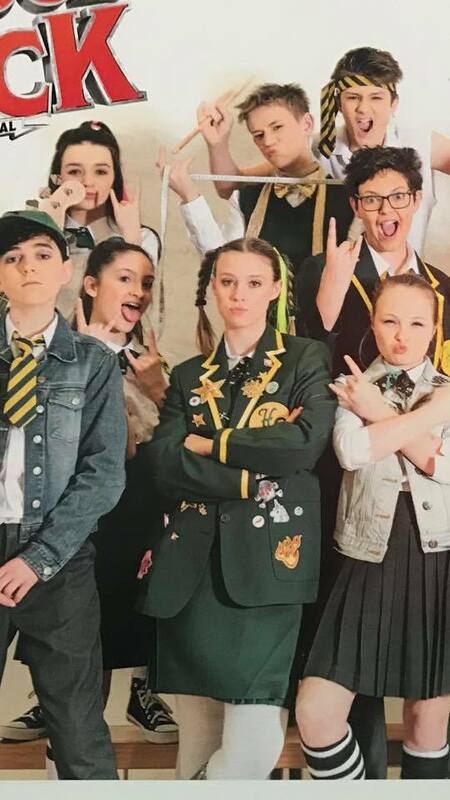 If anyone is interested in the costumes for their theatre group please contact me and we can arrange to meet and view them? I currently work at Sidmouth Primary School Hull) in year 6. We have recently begun practicing our lines for our upcoming leavers play. 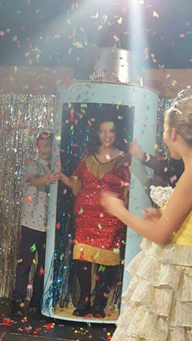 One of our scenes involves a reenactment of the nativity. In the scene, there is a donkey. 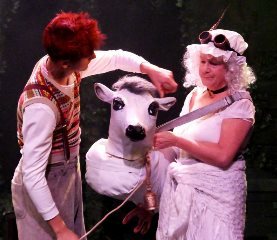 However, we do not have such a costume (double donkey costume) at our disposal, and the cost of one is extortionate. 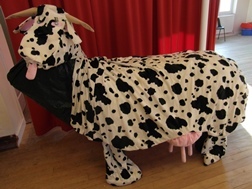 I am writing to ask if anyone happens to have one - or know anywhere we could borrow one - for us to use in our play? Sale starts Friday 16th June till Friday 23rd June at 9 North Street, Stamford. Sukies Party Emporium are selling off their stock of hire costumes, wigs, shoes, accessories, also stage cloths and boxes of material. Please come along and grab some bargains. 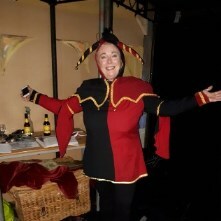 My name is Aly Holmes and I am the Managing Director of Skene Costume and Prop Hire in Blackburn, Lancashire. 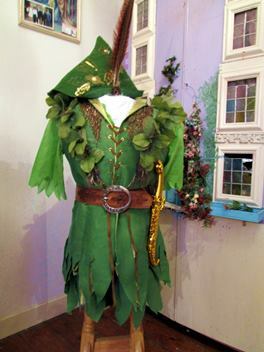 Skene Costume and Prop Hire is closing down and we are selling on our costumes. 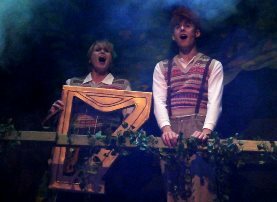 We would love them to go to other theatre enthusiasts so that they can continue to be used as they were intended. 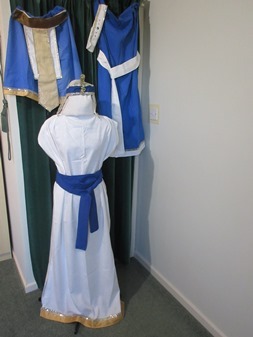 We have ranges of medieval, uniforms, accessories and many more all available to purchase. Some of these items, especially the medieval range, have been beautifully handmade. 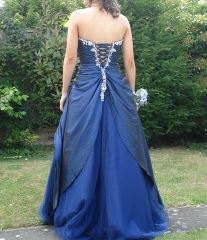 Our website is www.skenehire.com where all of our items for sale can be viewed. We also have a Facebook page and Twitter page (@SkeneHire). Although we are based in Blackburn, we are happy to also quote for items to be posted around the country for anyone interested in purchasing from us. 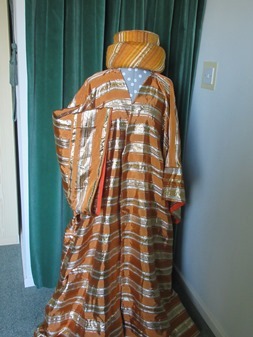 All of our stock is ex-hire so not in mint condition however would be perfect for amateur dramatic groups. My wife and I are aging re-enactors of the period 1640-1820. We have a considerable amount of clothing and equipment that gets little use nowadays. 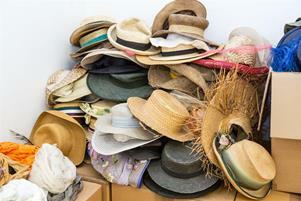 As we are having a purge of our "kit room", I have a few items - notably hats - that may be useful to local drama groups in the RG26 area. These are free on a first-come-first served basis. French Napoleonic General's bicorne - theatrical, but with authentic gold trim. British officer's bicorne of the same period. Other items may be added to the bag! We would also be willing to loan/hire some of our items of clothing at a nominal rate, if any group would like to contact us. 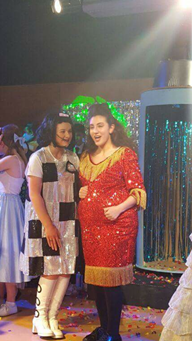 We are looking for hairspray costumes to hire or buy depending on price. 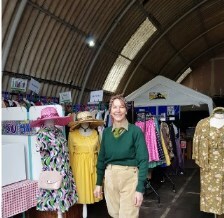 Original and ex hire outfits and hats inc military. 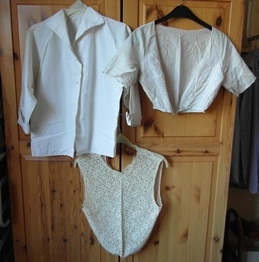 I have a bag of antique(ish) clothes which might be useful for plays. It is some underwear such as long johns and silk stockings, accessories, some blouses and some children's things - about a black sack full. I'm happy to give it to anyone who could use it. 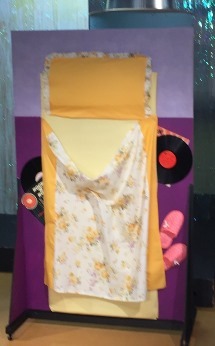 We are looking for ‘Grease’ costumes and props to hire or buy for our summer production. T-Bird Jackets/Black jackets – Pink Ladies Jackets/Pink Jackets, clothes/dresses to suit the era would be fantastic! My Mum ran an Olde Tyme Music Hall group in Chelmsford for several years where all proceeds were donated to the Air Ambulance. 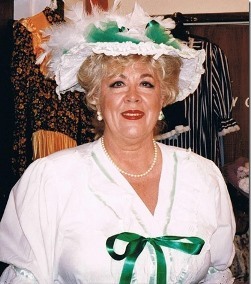 Over this time she has collected a substantial collection of props (mainly hats, jackets, feather boas, birdcage etc). Unfortunately she is no longer well enough to run the group, and I am looking for someone who could make good use of this collection. 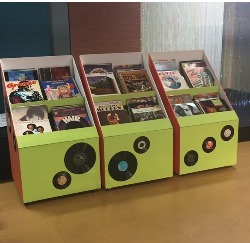 I'd rather give them for free to a group that would use them, I just wouldn't want to donate and then see them sold (happens a lot on local recycling groups). 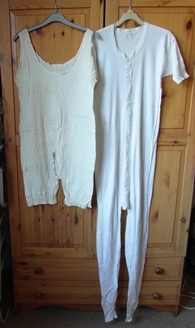 Wide selection of vintage / period clothing. 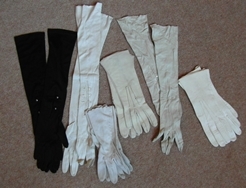 We have two real fur coats and a wedding dress which is probably upwards of 70 years old and wondered if they would be of any use to you or any of your amateur dramatic groups in Cornwall, if we were to donate them. I would be grateful if you would let me know whether or not you would be interested and I will arrange to deliver them preferably to either Bodmin or St Austell when I next see my dad. (I live in Dorset, but come down frequently to visit). 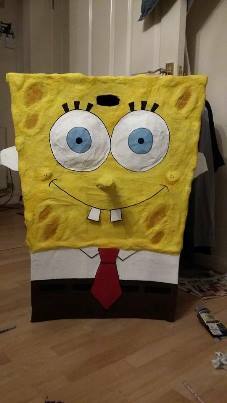 I made a Spongebob Square Pants costume for Halloween. It was a lot of effort but it is too big for me to store. 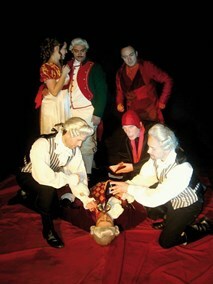 I wondered if any amdram group could make use of it? It's boxes, tape and paper mache, pretty sturdy though. Shorts can go with it but I chucked the tights. It's most suitable for someone been 5'6 and 5'10. 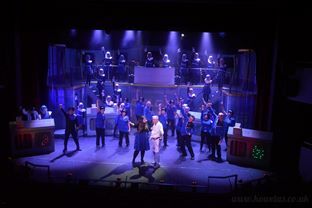 We are a school drama club & we have 28 x blue & white choral robes for sale if anyone can make use of them? 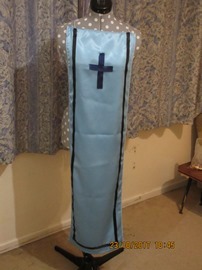 Perfect for anyone doing Sister Act, or any show with a choir, or simply just for the material alone! 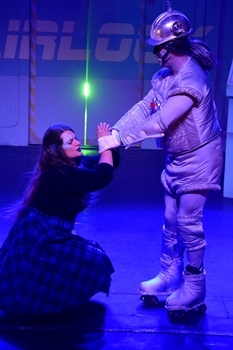 We are open to any sensible offer as we require funds for our current production. 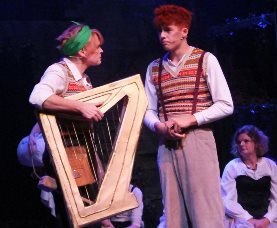 We have just finished our panto and are selling current and past sets, costume & props. Sale is at The Theatre on Saturday 14th January 2017, from 10am-12pm. 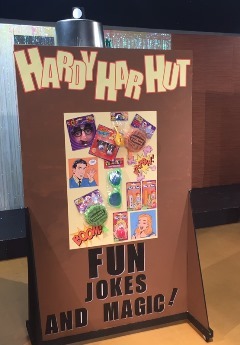 Come and see what we have for sale! I have 4 ‘tapestry like’ curtains each approx.. 10ft high by 8ft wide – that are no longer required. They are in good condition and could be used in many ways I.e. clothing, curtains etc. 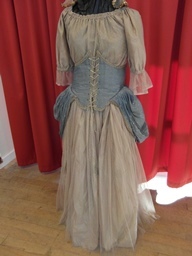 I'm looking for three Victorian style dresses to hire/borrow for a short low budget film being made in Sussex over three/four days in October/November and January. Is anyone here able to point me in the right direction? Contact: Louise on mobile 07716 368083 or by email loulabel38@btinternet.com to make an appointment if interested. 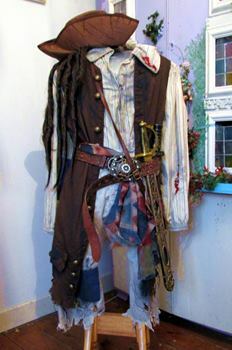 Several costumes sizes 16 –18 – here are just a few there are many more. 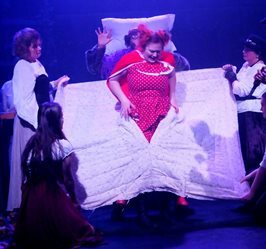 Loddon Players have a sale of costumes and Props on Friday next ,2nd December, at 7pm at St.Johns Chapel,George Lane, Loddon as part of the Victorian Evening.Some Panto Dame costumes and other on sale. Please come and have a browse. Contact: Please contact me at this email address steph.dodwell@nhs.net if you are interested. I have a large costume chest that I wondered if anyone could make use of. 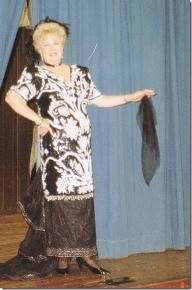 I have a large collection of costumes acquired over many years of teaching drama. I would like to donate them to any struggling am dram group who could benefit from them. I am in Grove Park SE london and a van will be needed to collect them all. They must go asap as I am moving very shortly. No cherry picking. If interested, all must go. Contact: if you would like more information please contact Debbie 07811150686.. I have a great many evening clothes plus some Vietnamese silk traditional outfits which I can no longer wear due to becoming disabled. Please advise if these will be of any use as costumes. 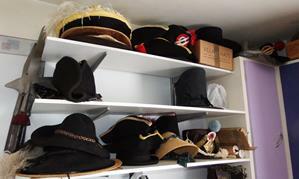 Would anyone be interested in costumes/headwear/trousers/jackets etc, plus more, for a nominal fee to be negotiated. There are approximately 90 items all in very good clean condition. 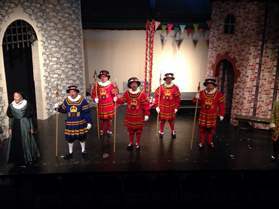 The amateur dramatic society is no longer active and is looking to sell them. I have photos of the costumes/headwear etc regarding the items up for sale. Bulk buy offers are preferable but others will be considered. 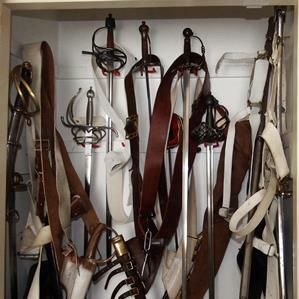 Military uniforms & militaria. Any old military uniforms no longer required wanted to buy. Also associated uniforms, ie WVS/Home Guard/Home Front etc. 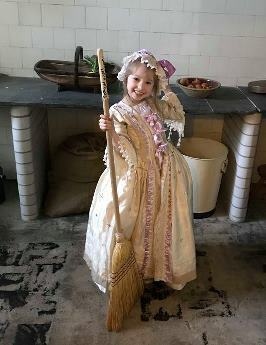 We are looking for a full costume for an elderly statesman of the 1570's period for an educational project in Warwick this September, working I. 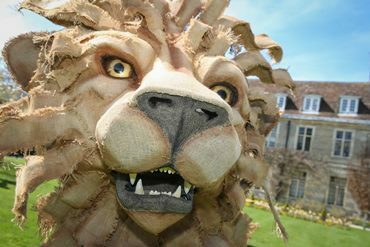 Schools, residential homes, a literary festival and town tours. We need ruffle, cap, shirt, trousers, cape for a rich gentleman. We hope to purchase rather than hire if possible. 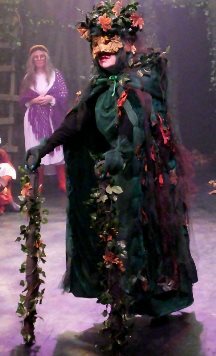 I have four stage costumes (capes) for sale. They need some TLC but were stunning once. Two are white but need cleaning/washing and two are gold. There is also a box of of make-up (dont know how usuable but quite a lot of glitter), and there is a box of gold theatrical masks and other bits and pieces. I want £40 for the costumes and could do a deal on the other stuff. 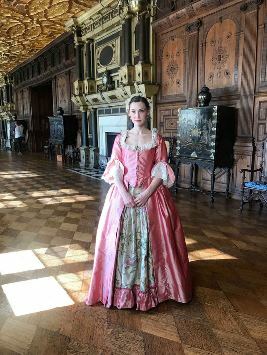 The costumes are obviously easy to post but not the make-up box, masks etc. 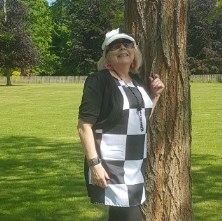 I am the chairman of Petworth Players and we are looking to update our stock of costumes. I would like to buy costumes, in particular adults costumes for Scrooge and Panto Dame. 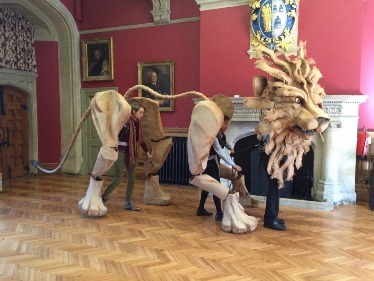 An amazing lion commissioned for 'The Lion, the Witch and the Wardrobe' available to hire or buy. Made of plastazote so very light. Worn by three actors. Jaw opens and legs are jointed. I have 400 costumes and hundreds of accessories for sale. 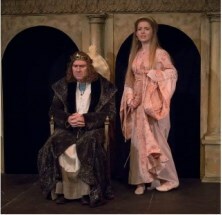 Many of my costumes are from theatres originally and range from Henry the Eighth to Elvis Presley! 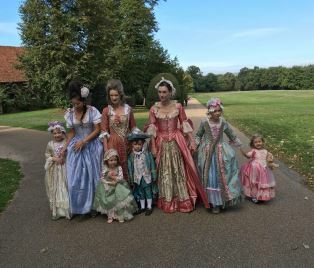 I bought the costumes only a few months ago in the hope of starting up a small business. Since then our circumstances have changed, so it's not going to be practical, but they will be perfect for someone who will have the time to either start up the business OR already has use for them e.g. theatres etc. Many of the costumes are from theatres originally, and they came from a fancy dress shop in Hove that closed down due to retirement. I am happy to be contacted through email anytime but will reply after 5 when I finish work. 24 gold sequinned skater style dresses in assorted sizes. Urgently need 2 furry mouse costumes age 14/15. Can anyone help? I work as a volunteer for the Heswall branch of the Claire House Charity shop in Milner Road Heswall. 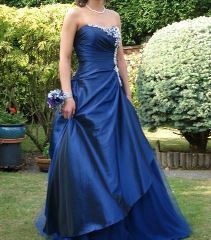 We have several long formal evening gowns, most unworn which are probably from 1980area or later. There are also several men's dinner suits of this vintage. If any groups could use them we would be happy for you to take them off our hands as we are having a refit and need the space. Contact: Please text Zoe (no calls/voicemails please!!) on 07988 493805 with any questions and I will call you back as soon as I can. DO YOU NEED COSTUMES FOR FREE?? 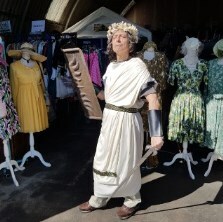 TREAD THE BOARDS is having a spring clean, and donating over 300 costumes and accessories to any drama groups or individuals able to collect from Reigate, Surrey over the next 2 weekends (13/14 & 20/21 Feb) between10am and 4pm. 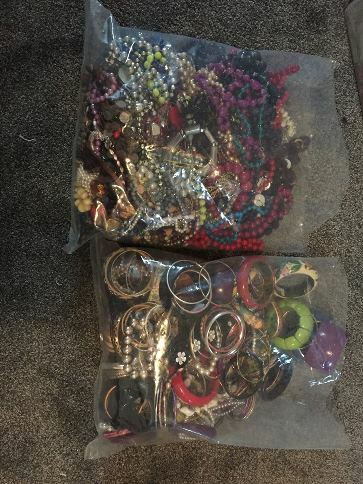 I have some costume jewellery to sell. quite a bit. they range from necklaces, bangles and bracelets..